Lens Tool and Mould of Windsor, Ontario, faced a manufacturing market that was getting increasingly smaller as competition from around the world heightened. To prepare for a more competitive future, the company expanded its business to offer the type of EDM capabilities that would add more precision to its mold-making capabilities. 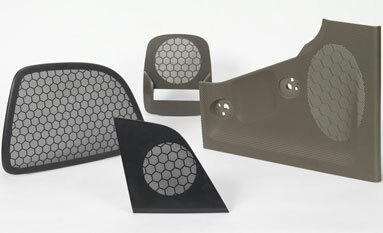 Lens Tool and Mould regularly produces speaker-grille molds for the automotive industry. This part features thousands of intricate core pins that are difficult to hand polish. The tools must come off the machine with a highly accurate surface finish so that the parts release properly. In addition, the company wanted to provide customers with shorter lead-times. Lens Tool and Mould purchased the Makino EDNC65S sinker EDM. The machine’s capacity for a 32-position tool changer lets it burn unattended, providing customers the type of EDM work that its competitors cannot offer. This machine offers high-quality surface finish (HQSF) technology that enables manufacturers to achieve superior speeds and finishes. In some cases, a mirror finish can be obtained without benchwork or polishing. Lens Tool and Mould’s newfound expertise has brought many customers, along with recognition from around the world. Two years after investment, its specialty EDM work became 20 percent of the company’s revenue. Now this type of work comprises more than half its orders. With HQSF™ technology, roughing and finishing can be performed in the same dielectric solution. The additive particles amplify the conductivity of the channel for faster spark development and allow a larger spark gap for graphite particles to exit the work zone. Lens Tool and Mould is able to complete jobs up to one-third faster with HQSF technology. HQSF technology allows the company to use standard graphite electrodes to achieve surfaces with maximum roughness of 4Rmax, and to attain mirror-like finishes of 2 Rmax using its copper electrodes. No hand polishing is needed. Additionally, the company is able to extend its operation from one shift per day to running lights out over nights and weekends, including on the intricate speaker-grille applications. In all, Lens Tool and Mould saves 10 to 30 percent in manual labor and costs over conventional EDM processes.